GeoVision is a Taiwan based company and one of the biggest surveillance cameras manufacturer. GeoVision products are on the leading positions in the industry of video surveillance. One can find whole lines of DVRs and IP cameras of all colors and shapes. The products come with different features that are necessary in the modern world of video surveillance: PTZ function, night vision, video stabilization, etc. All these features need a reliable support in the capacity of good video surveillance software. There might be built-in GeoVision Software that comes with the cameras. Usually this kind of software is very basic and doesn’t offer a wide range of features and options, which is very understandable. If you’d get professional video surveillance software with your camera, the camera would cost much more. Plus there are situations when you have several cameras of different manufacturers plus GeoVision ones, and you would like to unite the cameras in one video surveillance system. Chances are the built-in GeoVision software won’t work with cameras of other brands. 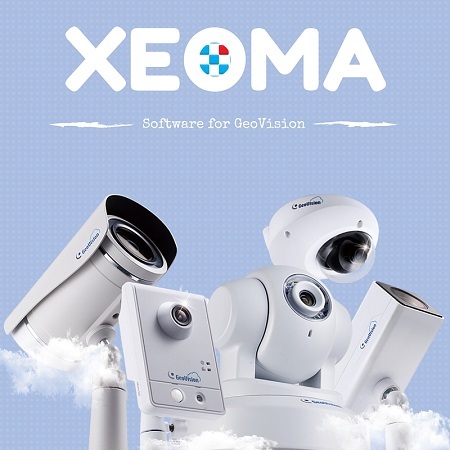 If you’re looking to get GeoVsion cameras for their reasonable price and have a multi-functional video surveillance software, there is a great solution – Xeoma GeoVison software! Xeoma supports all the cameras and DVRs by Geovision. Your devices will be detected automatically by Xeoma GeoVision Software, so all you’ll have to do is to add the modules and set your video surveillance system just like a tinkertoy! Xeoma offers the variety of intellectual modules for your GeoVision cameras – PTZ Tracking, Face Detector, Visitors Counter, Automatic Number Plate Recognition, Privacy Masking, and many other interesting and useful options. Plus there is free tech support that is always there to answer any question you face, to help any problem you run into, or just to perk up your mood.